As far as we know, this is the first time a major sports drink has emblazoned a specific team’s logo on its packaging. 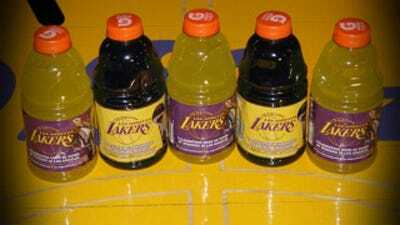 It may seem like a bit of a stretch to expect fans to buy this version of Gatorade just because of the logo, but the Lakers are a brand name in LA. If this does well, others will surely follow suit.